Worked for British Rail Engineering Ltd at Horwich. 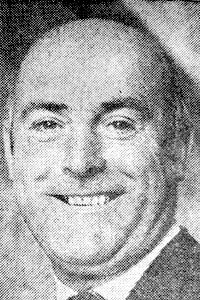 In 1973 he stood as an Independent Labour candidate in the first Bolton Metropolitan Borough Council elections whilst Chairman of Blackrod UDC. A tree was planted in his memory in Blackrod Cemetery by fellow Councillors in December 2001.